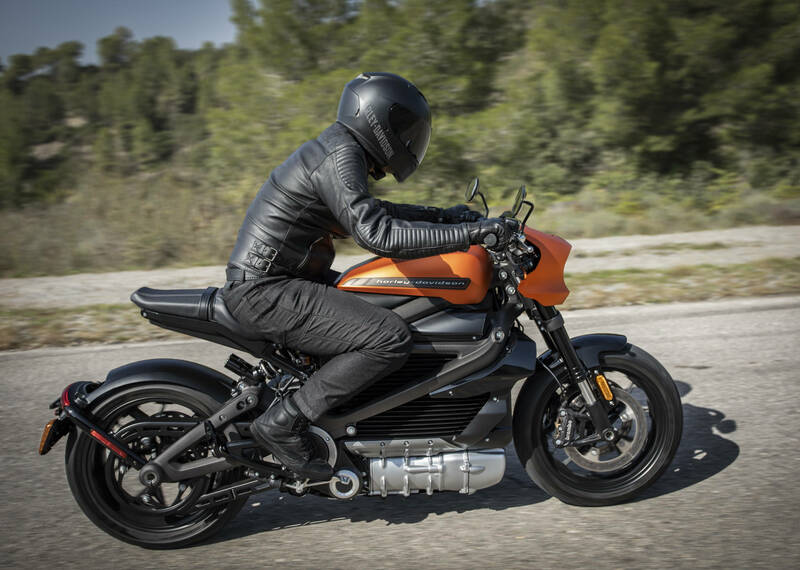 Several years after MD rode a prototype, the Harley-Davidson LiveWire electric motorcycle is finally coming to U.S. dealerships this Fall with an MSRP of $29,799. Harley claims a 0-60 MPH time of under 3.5 seconds and 110 miles of battery range riding “urban roads”. 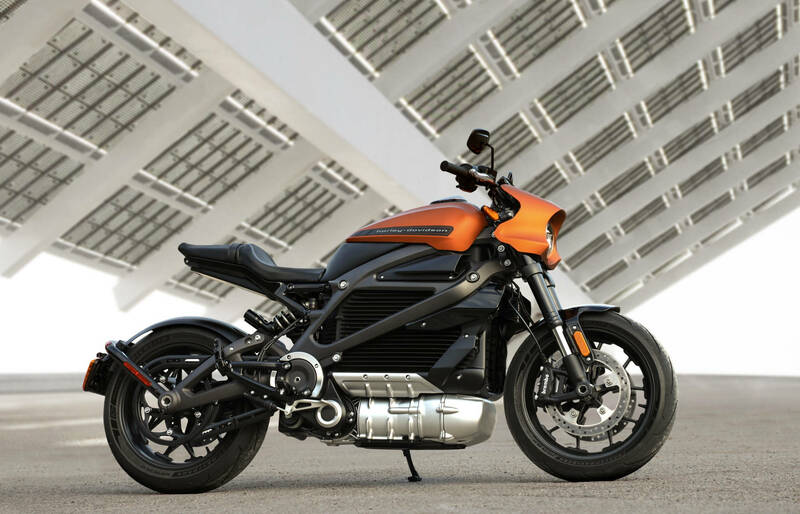 Here are all the details from Harley, along with information on two electric concepts (pictured below). 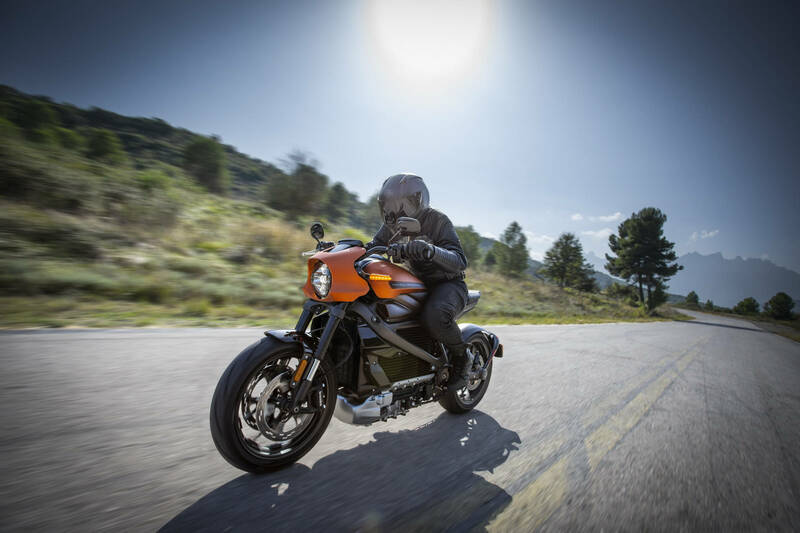 For more information on the new Harley-Davidson LiveWire motorcycle (US MSRP $29,799), as well as updates on future additional bikes, visit Harley-Davidson.com/Electric. No way is thing going to be profitable. How are you going to compete at this price level? If Harley wants to attract younger riders they are going to have to do something like bring back the Buell Blast. Or how about a barebones 883? Get the price way down and the customers will be lined up out the door! The only thing the Blast attracted was an automobile crusher. That didn’t take long to devolve into politics. Costs $10k more than a Zero motorcycle while having less range? I wish the Range on these would increase and the price decrease. I would be interested in an off road model with about 4-6 hrs of range. I’m still waiting for that big break thru in battery tech to greatly increase the usability of all of our existing battery dependent technology. Paul, I agree wholeheartedly with you. However, so many people will never understand this side of the argument because of all the so-called science they have been fed. I have heard of all this “sky is falling” nonsense since I was a kid in school. If a person was to believe all the stuff (new ice age, no more oil, no more minerals, no more food, plagues, ……) they threw in my face 50 years ago, I should’ve been dead by now. It’s like a religion to the climate alarmists. Not to say that I’m non-religious by any means. If Al Gore really believed that his word is truth, I dare him to buy a home in Wisconsin. After all, we should not be having winters anymore due to the warming planet and I should be riding my bike comfortably all year long. Come on Al, I dare you. But be aware “Dr.” Gore, the whole state is frozen solid as I type this. No different than it was 50 years ago. If you live in the upper Midwest and you don’t see the evidence of climate change over time, you’re willfully ignorant. Every industry that relies on weather borne resources have been struggling to rationalize their futures. Don’t believe it? Open a snowmobile business. the production of any electric vehicle cannot be brought down without huge government subsidies and tax breaks. And even then they are too expensive for most of the public to buy. But that seems to be the business model that is being sought after by would be billionaires. That is not my demographic, and I am not in that market. You have it exactly backwards. EV’s will never be profitably produced while gov’t subsidies and tax breaks continue. Only competition will make EV’s worth their cost. Government involvement guarantees bloat and inefficiency. Yes, I agree. That was what I intended to convey in other words. Here’s a thought.. if Harley’s target audience isn’t current motorcyclists or motorcyclist wannabes, why did they put in so much effort to make it look like a motorcycle, with a faux gas tank, and a faux muffler, current design motorcycle forks and frame, foot pegs, handlebars, useless bullet fairing? it’s obvious by design who they are hoping will but this bike. I just wish people would grasp the fact that carbon dioxide IS NOT a contributor to climate change. It would save us all from all the stupid goose-chasing technology and useless carbon taxes. Climate change IS happening, because the climate of this planet has ALWAYS been changing and always will. Poisoning the land with battery manufacturing on this potentially massive skill is INSANITY. Paul, Where in the article does it reference carbon dioxide ? I am glad I don’t live and breathe the foul air in Beijing and New Delhi where the air is a haze of suspended particles. Electric cars, bikes and trucks are needed and needed now. It’s better to have their electric energy produced in a safer place like a power station than ICE powered vehicles. Bikes like the HD here a just a step in a long and expensive journey. Nobody is talking about carbon dioxide, here. But even if you don’t believe it is a greenhouse gas that is contributing to climate change, what does that have to do with anything? Electric cars and motorcycles can offer benefits that have nothing to do with carbon dioxide. They aren’t a fit for everyone, but they can stand on their own merits for buyers that appreciate what’s on offer. I went for a ride in a Tesla the other day. I was really impressed by the way the car accelerates. Nothing to do with carbon dioxide. Can’t wait for an affordable electric scooter. They are impressive cars for sure. I was even impressed with the new Nissan Leaf. Our driving habits rule out an electric car for now, but I’ll probably get one if things change. Same for electric motorcycles… I couldn’t use one now, but I really like the idea of one – an electric dirt bike in particular. The climate has always changed, but it has never changed anywhere near as fast as it has since humans industrialized. You don’t believe that Co2 is a greenhouse gas? Fine. What is it that we’re doing that’s causing it (we are causing it, that is not debatable), then? The deniers never have an answer for that. Aren’t we confusing carbon dioxide with carbon monoxide? We are not causing climate change. CO2 is running at a high today of 403 ppm, the highest since the industrial revolution. Go back further in time and you will see co2 at over 5,000 ppm and global temperatures were going down. Swings in co2 concentrations were even more volatile. There was never any correlation between co2 levels and global temperature. 20 years of satellite study has shown that the earth has actually become greener with the elevated co2, plant life thrives on it. Food production has actually increased on the global scale. It is arrogance to proclaim that we are causing it, as “it” has been going on in various cycles since the beginning of time on Earth. We are not that relevant in the grand scheme of things. The climate is cyclical. The known universe is cyclical. The greatest greenhouse gas by far is water vapor. Try and control that, good luck. Listen to intelligent people such as Freeman Dyson, not idiots like Al Gore. The main cause for climate change is the activity of the sun, which just happen to be cyclical as well. Freeman Dyson is an idiot. Freeman John Dyson FRS (born 15 December 1923) is an English-born American theoretical physicist and mathematician. He is known for his work in quantum electrodynamics, solid-state physics, astronomy and nuclear engineering. He theorized several concepts that bear his name, such as Dyson’s transform, Dyson tree, Dyson series, and Dyson sphere. Yes Anonymous…he is an idiot.. and that would make you a genius, I guess, right up there with Al Gore. That’s because there used to be millions more square miles of ice covering parts of the planet. You don’t want to believe it, fine. Just try and stay out of the way of the people who’re trying to help. If they’re wrong, you’ll still get clean water and sustainable energy in the end. No, the enviro-wacko’s “trying to help” are destroying the environment and economy with their ill-advised “solutions”. Why did you take the bait, Dave? Why! I don’t know. You’re right, back to moto talk.